Do you have a health — or happiness — problem you’re trying to solve? It could be anything from staying as healthy and happy as you are now to wondering how you will make it through your next round of chemo. Maybe you suffer from chronic pain or anxiety. You might have an aging parent or a child on the autism spectrum, and you need support. Reiki practice can help in a wide range of situations because it doesn’t treat the symptom or condition directly; rather, Reiki practice helps restore balance so you feel better and your system can shift gears from coping to profound self healing. Clearly that’s important for everyone, and even more important if you are a home or professional caregiver, because everyone in your care benefits when you feel better. That’s where we start — by helping you feel better. Clients typically report improvement during their first Reiki treatment, although more sessions may be needed to stabilize and strengthen that improvement. Because we don’t just want you to feel better, we want you to stay that way. After your Reiki treatment, I’ll help you create a well-being program that works for you, with simple, effective steps you feel confident you can actually take. In my comprehensive healing sessions, you’ll receive Reiki treatment, insight, tools, and — as needed — referrals to physicians and other healthcare providers who will respect your point of view and work with you as partners. Together we can take you from coping to true healing. We can start optimizing your health and well-being now. Email me to schedule an individual Reiki treatment and consult, either in-person on the Upper West Side of Manhattan (New York City), or wherever you are, by phone or Skype. A comprehensive healing session by phone/Skype or a limited number of in-person sessions at my office in the Greystone Hotel. My monthly JCC Reiki clinic. Each healing session is customized to your current need, but here is a sketch of what your healing session will be like. Phone or Skype sessions provide the same care as in-person sessions. Only the logistics are different. 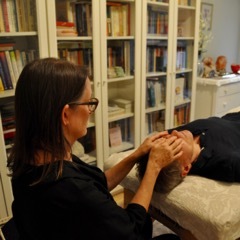 A complete Reiki treatment is the centerpiece of our session. You’ll start by lying fully clothed on my treatment table on your back, with support or a modified position as needed for your comfort. If you are able to lie on your stomach (I have supports to help you feel comfortable), I’ll also place hands on your back. After your Reiki treatment, we’ll discuss your experience, and address your questions. I’ll help you strategize how you can regain and maintain optimal well-being, drawing from my 45 years experience with medical intuition, integrative health care, and health-promoting lifestyle. I will help you become more aware of moments in which you could choose to be healthier and happier, not give you a list of “shoulds” to haunt you. You will leave feeling better, and feeling empowered to address whatever challenges you’re facing. It is your choice whether to receive more treatment, or not. I am available for support as needed. When I learned Reiki in 1986, I already had a quarter century of experience in yoga, meditation and natural healing. You get the benefit of that expertise. I’ll help you recognize opportunities to promote wellness in your daily life and, if needed, connect you with physicians and specialists who will respect your preferences. I want you to get the best care possible, whatever that means to you. Email me to schedule your appointment, or click here to read more about Reiki healing sessions. I have limited availability for in-person sessions in my office on the Upper West Side of Manhattan. I will provide the address when we confirm our appointment. No consults, sessions, classes or other services are offered in my home. Do you want to dive deeply within and connect with your innate wisdom and your profound power to self-heal? If you are willing to commit to a sequence of in-person and/or phone/Skype sessions on successive days (usually 4-10 days), and simplify your life to the degree that is possible, you can create a profound, yet gentle shift toward great health and well-being. During your sequence, you receive daily Reiki treatment and coaching. You spend time each day as you can in contemplative, expressive practices such as journaling, free-writing or art. Each sequence is specific to the individual client at that particular time. It’s helpful to lighten your schedule as you are able to during this time, making space for more down time and alone time, but it is completely up to you. Email me to arrange your individual Reiki healing retreat or sequence. You can experience a Reiki treatment at low cost at the monthly JCC Reiki Clinic on Manhattan’s Upper West Side. You will lie fully clothed on one of six treatment tables and receive a 30-minute treatment, usually from two practitioners, under my supervision. I am there to welcome you, and to answer your questions after your treatment. Last night, right after the Reiki clinic, I felt relaxed and still felt the warmth from the practioners’ hands. When I woke up this morning I felt very different…almost lighter, as if some heavy negativity had been lifted off me. Definitely something great happened because I can feel the difference already! The JCC clinic is held the first Thursday evening of each month, except for holidays. The clinic fee is $20. Pre-registration guarantees your space, but we do our best to accommodate walk-ins. You can register here or by phone 646-505-5708. Choose the treatment time that suits you, and please arrive 10 minutes early. 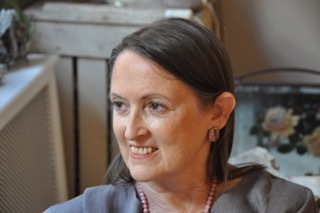 If you would like to be on my mailing list and receive announcements about the Reiki clinic, sign up here and check the box for NYC public Reiki events. Reiki students or practitioners of any lineage are welcome to participate in the clinic. You will receive a treatment yourself, and offer treatment to the other practitioners and to the public, in a supervised treatment environment, with time for discussion and mentoring after everyone has had a treatment. 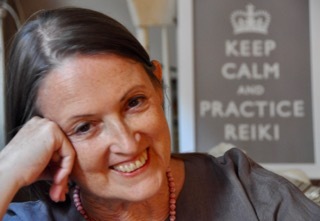 Please read more about the JCC Reiki clinic here.